Mazda 6 Forums : Mazda 6 Forum / Mazda Atenza Forum > Technical / Performance / Model > Mazda 6 3rd Generation (2013-Present) > Electrical / HVAC > Adding a sub and amp? Adding a sub and amp? Its certainly possible. Just need a line out converter. Weather its worth the trouble or not is up to you. I added a Line converter,Sub,aftermarket front speakers, and an amp. I've decided to let the factory head unit power all of the full range speakers for the time being, and so only the rear channel's high level signals were spliced into to feed the line converter. There is a separate set of RCA line level outs on this LC2i if I want to add an additional amplifier for full range speakers later on. The Cat-5 cable you see plugged into the side of the line converter runs up to a level control knob I have mounted underneath my steering wheel/underside of dashboard. This allows me to adjust the bass amplification for each song as I see fit quickly and easily. As far as the front speaker replacement goes, the stock speaker/mount can be easily modified (read;destroyed) to become a great mounting structure for the speakers of your choice. 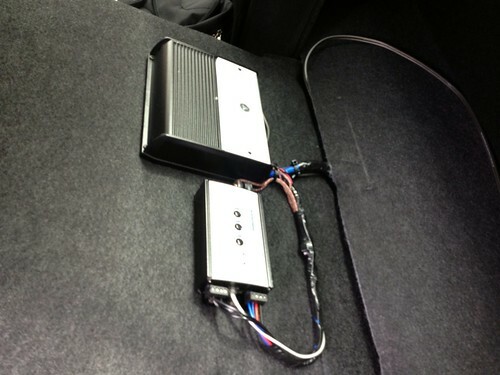 In the case of separates, there is a perfect spot underneath the dash grills for putting in aftermarket tweeters. I found the factory crossovers to be adequate (which further simplifies installation) and left the crossover units included with my replacement speakers out. Where did you tap in for a signal good enough to get full range from. I want to just add a sub only and need a full range location to tap into at so non of my input signals are missing low freqs. I tapped into the rear channel, and signal was improved with an active line converter. 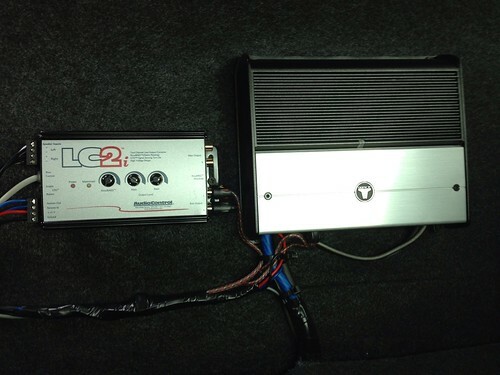 there is a thread around here that has a full install of a non-bose, this full write up was very easy to follow, took no more then an hour to install and like @Vance Kromo said it is well worth it, i dont think there is a need to add any aftermarket door speakers.